The flawless orb is ideal for creating inverted reflection by photographers. 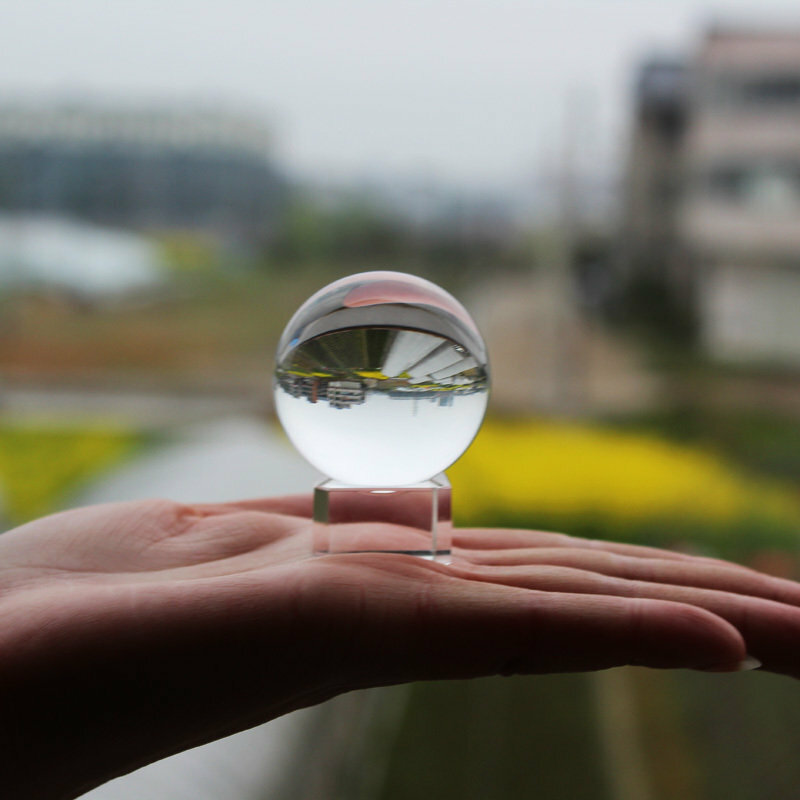 The image in the crystal ball is inverted, giving another feeling, especially suitable for creative photos with the scenery. The clear crystal is bilieved to clear your mind and absorb sunshine and moonlight to enhance the divination abilit. Made of Re-constituted Quartz Crystal.Flawless Quality, 100% clear.